Norwich City's Anthony Spyrou is now with Wrexham. Pic: Getty Images. Wrexham have strengthened their Vanarama National League squad with two new signings – and both could make their Dragons’ debut against Hartlepool away on Saturday. 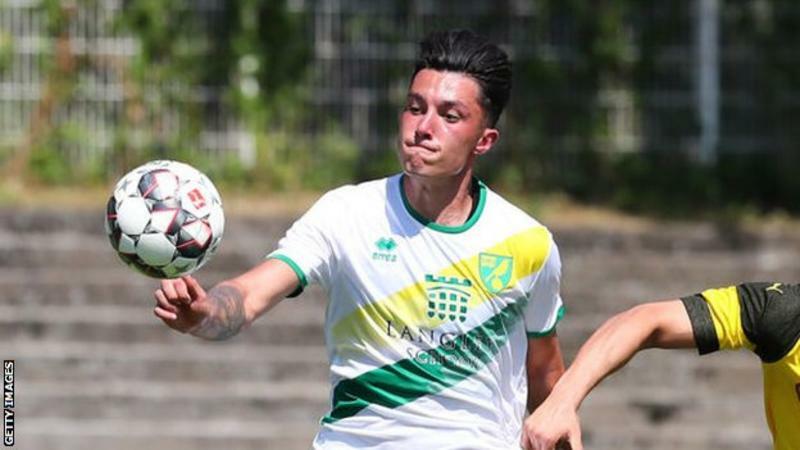 Norwich City’s teenage striker Anthony Spyrou has signed on loan, while former Swansea City midfield player Kemy Agustien has arrived at the Racecourse as a free agent. “My main attributes are pace and power,” said Spyrou, who has signed a new contract at Norwich through to 2020. “I am quick and as soon as I get a chance then I can find the back of the net. Spyrou, a 19-year-old whose family live in Frinton-on-Sea, Essex, has scored 10 goals in 21 games for Norwich City under-23s this season. He is originally from North London and says he is an ardent Spurs supporter. “Anthony is a highly rated youngster who has come up through the ranks at Norwich,” says Wrexham manager Bryan Hughes. Dutch midfield player Agustien joined the Dragons on a full contract, having last played for Barrow. The 32-year-old, a Curacao international, has been a free agent since leaving Barrow in January. “He comes here with experience at the highest level and knowledge of the National League, having been with Barrow this season. Agustien has played for Birmingham City, Swansea City, Crystal Palace, Brighton and Hamilton Academical in Britain. He has also played for Willem II, AZ Alkmaar, Roda JC and RKC Waalwijk. Wrexham head to the North East of England for their clash with Hartlepool United. The Dragons will be without injured Manny Smith, while Luke Summerfield and Mark Carrington are back in training. Brad Walker remains out of action.